GPG-FT232 adapter is controlled by software. Connect GPG-FT232 Adapter to GPG EMMC box. Connect V8 port data cable, insert one end into GPG-FT232 Adapter and the other end into any available PC USB port. Please note! 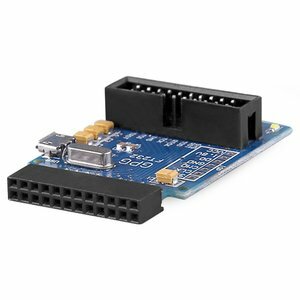 During the first connection you have to install the driver, GPG-FT232 driver can be directly installed. Just double-click the "FT232_CDM_Setup" icon, required driver should be installed automatically, after that insert the USB cable. Then computer equipment management window will show one more port, at the same time, the EMMC JTAG window will show "Port". Only if the computer port and software shows you the same port, that means the "GPG-FT232" is connected correctly. "GPG-FT232" connection is normal, JTAG and ISP operation can be started.